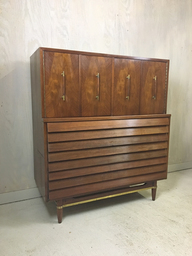 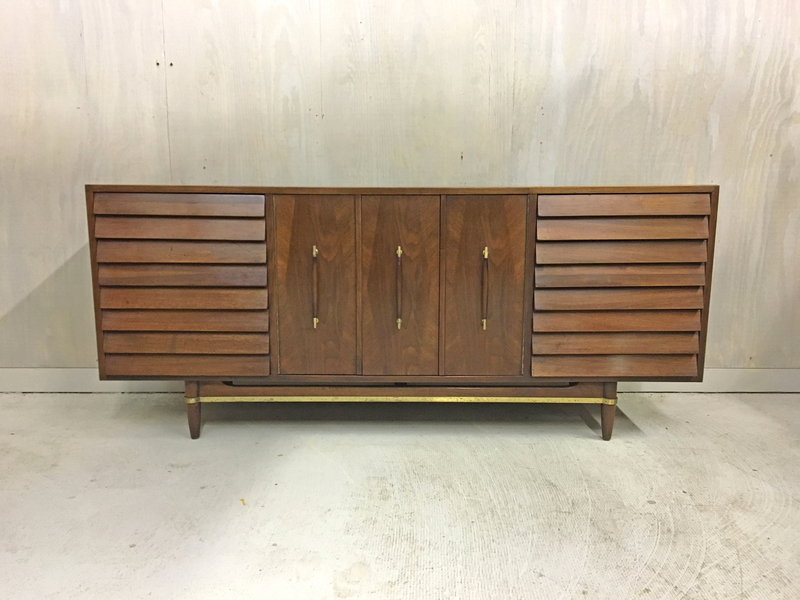 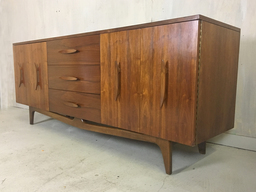 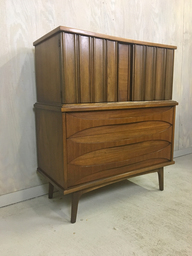 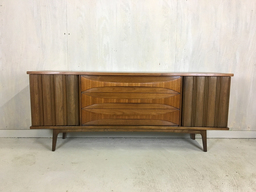 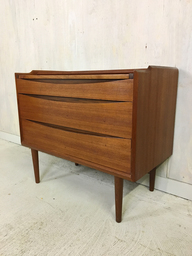 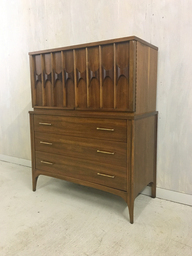 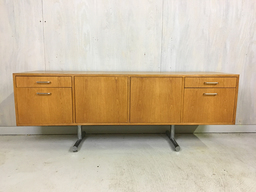 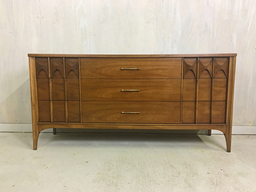 This well-constructed walnut piece from the Dania Line designed by Merton Gershun for American of Martinsville features three solid wood drawers with dove-tailed construction on each side as well as three interior drawers behind the hinged cabinet doors. 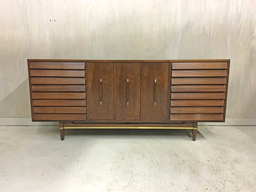 The base features a brass design element unique to the Dania Line and striking original brass and wood handles on the cabinet doors. 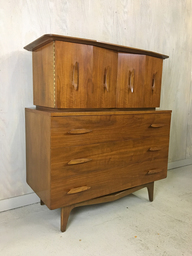 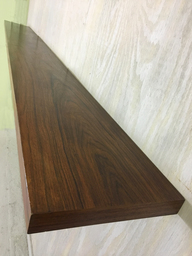 The top has been refinished to match the original and the piece is in excellent condition with only minor marks of age but no stains or veneer chips. 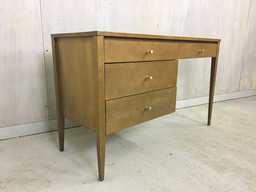 Some discoloration and marks on brass base.